Pacific Beach based Eat.Drink.Sleep., which operates local restaurants like JRDN, Cannonball, Draft Mission Beach, Decoy Dockside and more, has announced the return and appointment of David Warner as the hospitality group’s new Corporate Executive Chef. 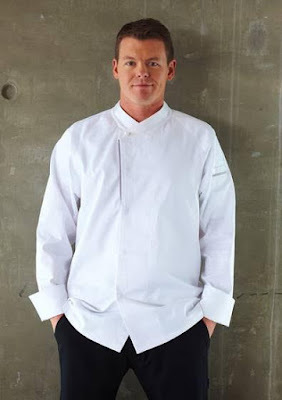 For his first project, Warner will oversee day-to-day operations and refine the menu and culinary operations at the company's newest restaurant, Decoy Dockside Dining at the Lakehouse Hotel & Resort in San Marcos, which was left without an Executive Chef ever since Danilo Tangalin left the group in August nearly as soon as the lakeside eatery opened. "We are delighted to welcome Chef Warner back to Eat.Drink.Sleep.," said Brett Miller, President and CEO. "Dave made a lasting impression on our culinary program when he served as the Executive Chef at JRDN in Pacific Beach a few years ago. We are excited to see what his innovative ideas will bring to this new role." For the first six months in his new position, Warner will focus on overseeing Decoy’s menu centered on new American cuisine inspired by the great outdoors. The menu is built around the restaurant's wood burning oven and will highlight wild game and fresh water seafood. In addition to Decoy, Warner will supervise culinary operations for Eat.Drink.Sleep.’s portfolio of restaurants, hotels and entertainment properties including JRDN at Tower23 Hotel in Pacific Beach, as well as Draft, WaveHouse and Cannonball at Belmont Park in Mission Beach. Some of his responsibilities will include creating new and fresh seasonal menus, training new staff, and representing Eat.Drink.Sleep. at promotional events. Most recently, Warner served as a founding partner and Executive Chef at Bottega Americano in San Diego’s East Village. Prior to that he worked for Eat.Drink.Sleep. as the Executive Chef at JRDN Restaurant, winner of California Restaurant Association’s “Best Hotel Dining” award. Chef Warner is a graduate of the Art Institute of Fort Lauderdale School of Culinary Arts. For more information on Eat.Drink.Sleep and a complete list of properties, visit eatdrinkandsleep.net.